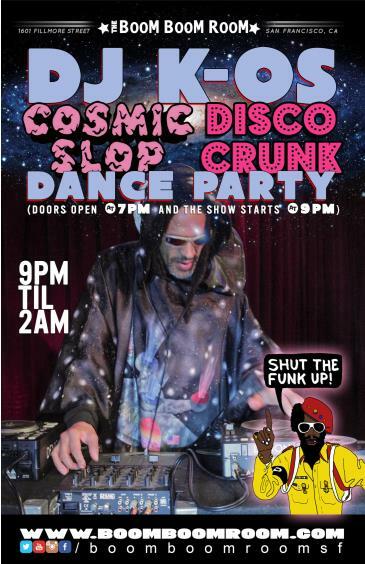 Ticket Price: Freee Show - Dance Your Azz Off! K-OS started to perform publicly a year later, in 1985, Aerosmith and Run DMC’s single “Walk This Way” began to make it socially acceptable for more diverse groups to listen to rap and rock. K-OS embraced the détente, spinning for up-and-coming bands like Primus at the now defunct Berkeley Square and moving past the overused breaks DJs leaned on.